19-11-2016 Closing ceremony was held at 19.00. Representatives of of Ministry of Sport and Youth Affairs of Georgia, press, invited guests took part in closing ceremony. Goodbye, Georgia! 19-11-2016 Today are held finals and 9th round for players who took 17th place and below. Evgeny Kondrachenko (Belarus) took 2nd place. Vladimir Egorov took 3rd place. He won in final Nikolay Gulyaev. Darya Fedarovich (Belarus) took 2nd place. 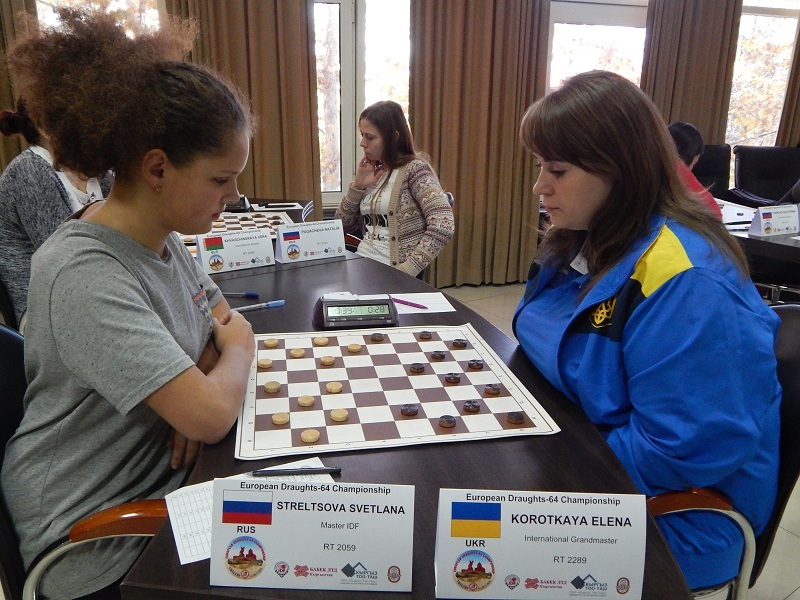 Yulia Makarenkova (Ukraine) won Vera Khvashchynskaya and took 3rd place. In the 1/2 finals won Evgeny Kondrachenko and Nikolay Struchkov. They will play in the final for 1-2 places. Nikolay Gulyaev and Vladimir Yegorov will meet in the match for 3-4 places. 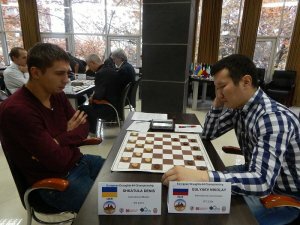 18-11-2016 In the 1/4 finals in the first eight group won Evgeny Kondrachenko, Vladimir Yegorov, Nikolay Struchkov and Nikolay Gulyaev. They will continue the fight in the 1/2 finals for 1-4 places. 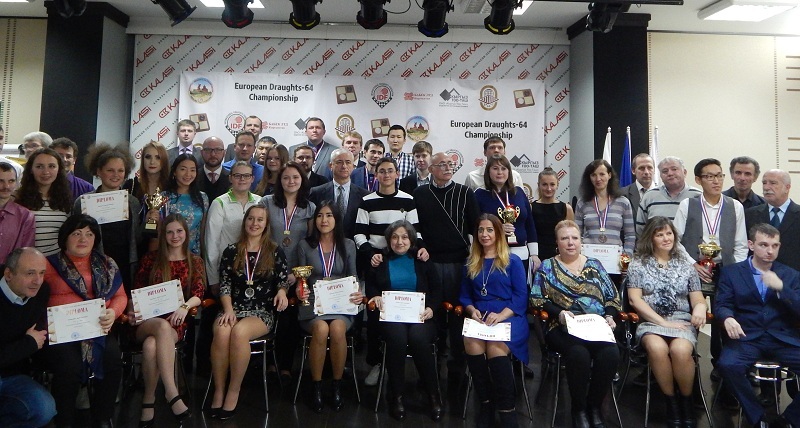 17-11-2016 Preliminary stage of the European Championship in draughts-64 among men and women completed. The winners of the preliminary stage are Denis Shkatula (Ukraine) in men and Fedarovich Daria (Belarus) in women. 17-11-2016 Today are held final two rounds of the preliminary stage. 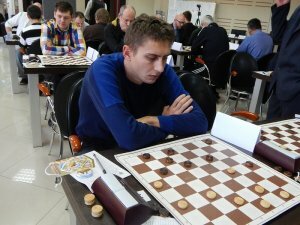 After the sixth round with a score of 9 points still leads the International Master Denis Shkatula (Ukraine). Seven participants have 8 points. These players are likely to get into the top eight, which will play the championship medals. The following 9 players have 7 points. They have to win To have a chance to get into the top eight. The last round of the preliminary stage expected to be very difficult. 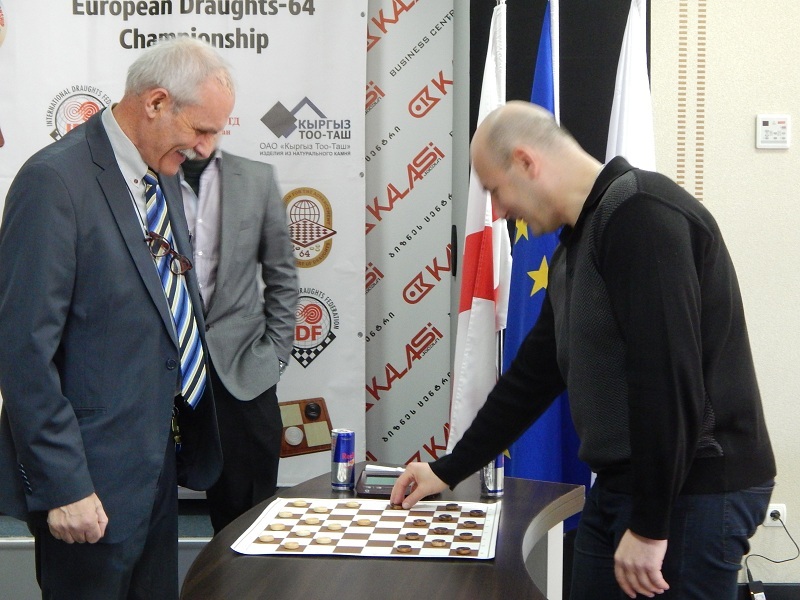 After five rounds in men with 8 points alone lead International master Denis Shkatula (Ukraine). 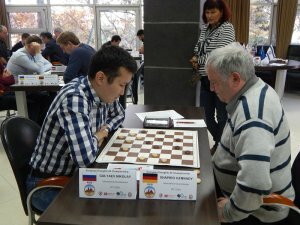 In the 4th round he won Gennady Shapiro (Germany). It allowed him to lead the standings. 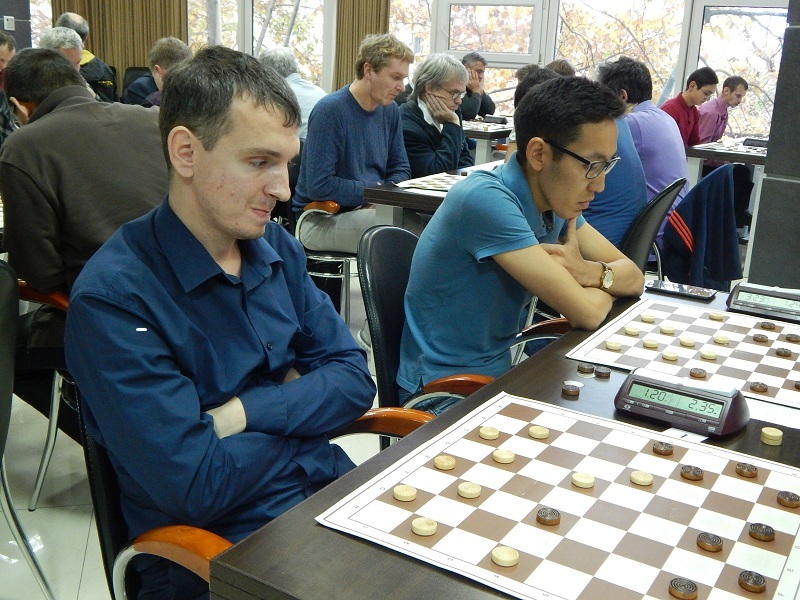 Denis pursues a group of seven international grandmasters. Tomorrow will be the final two rounds of the preliminary stage, by which results the first 16 players in the two groups from eight players will continue to fight for the medals and prizes. Places of the remaining participants will determinated in two additional rounds of Swiss. 15-11-2016 2nd and 3rd rounds of preliminary stage was held today. 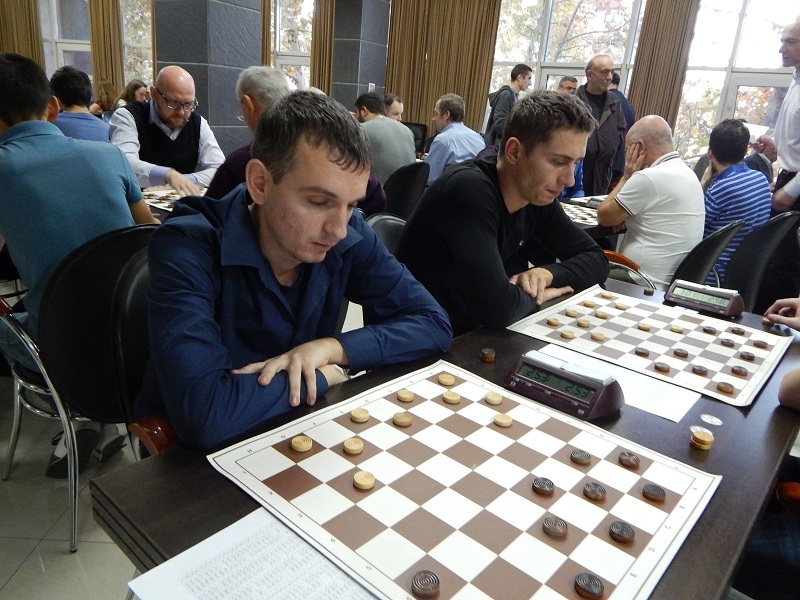 After three rounds with 5 points from 6 in men leading 5 players – Gennnady Shapiro, Nikolay Gulyaev, Vladimir Egorov, Aleksandr Getmansky and Denis Shkatula. 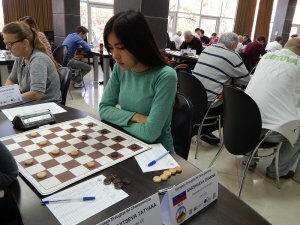 In women also 5 players have 5 points from 6. 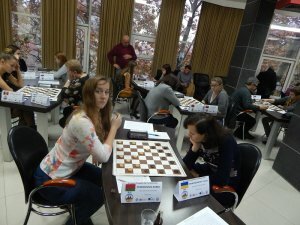 There are Elena Korotkaya, Zhanna Sarshaeva, Darya Fedarovich, Iulia Zhuravskaya and Khvaschynskaya Vera. 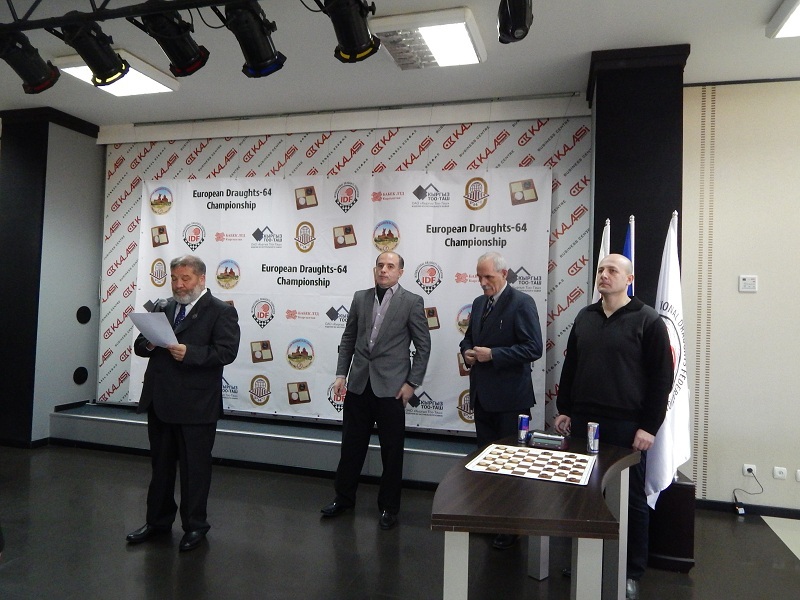 14-11-2016 European Championship in classic game started today at 10:00. Live broadcast is available HERE in the Online Section. See current results and photo. 13-11-2016 Rapid in brazilian draughts started at 10:00. Live broadcast is available HERE in the Online Section. See results. 12-11-2016 Blitz started at 15:00. Live broadcast is available HERE in the Online Section. See results. International Grandmaster Elena Korotkaya (Ukraine) become European Draughts-64 champion among women in Blitz! She won Cristina Zaruba (Moldova) in the semifinal and Vera Khvaschinskaya (Belarus) in the final. 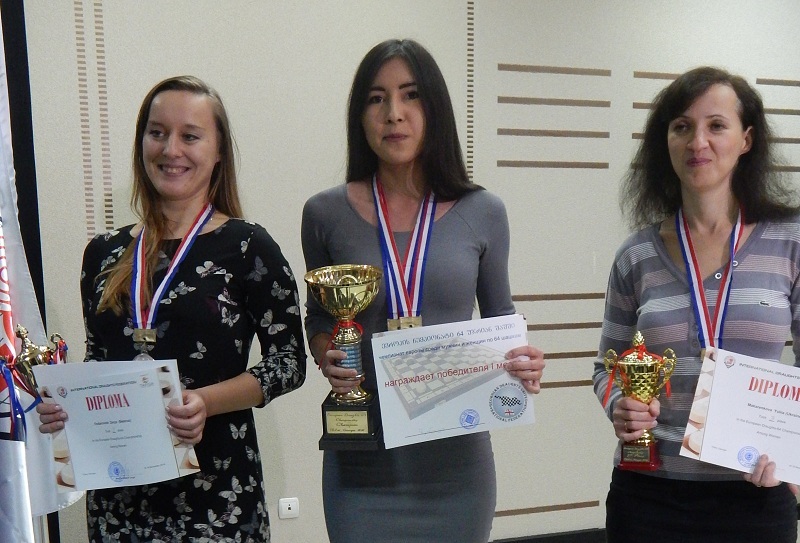 In women: champions and winners of the World and European championships in different years Zhanna Sarshaeva and Sofia Morozova (Russia), Elena Korotkaya and Julia Makarenkova (Ukraine), Daria Fedorovich and Vera Khvaschinskaya (Belarus). 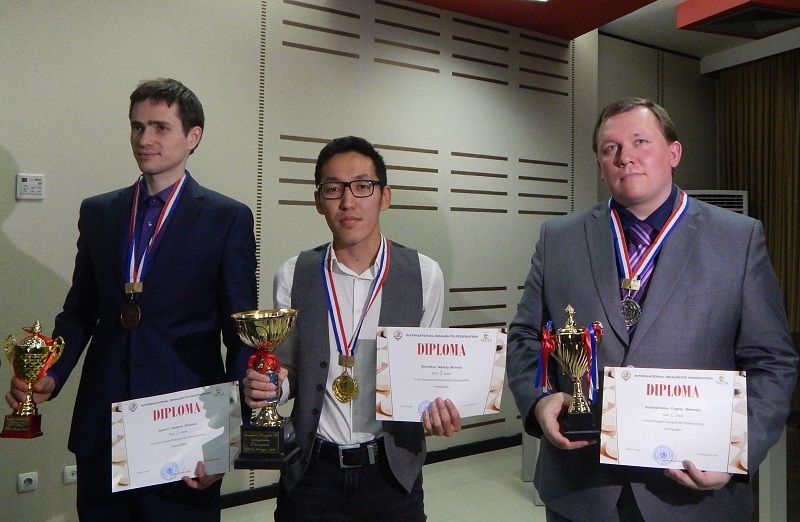 Ambitious talented young players will compete with the venerable grandmasters. Among them Bogdan Panchenkov, Denis Shkatula, Tatyana Zaytseva (Ukraine), Dmitri Abarinov, Dmitri Melnikov, Yulia Zhuravskaya, Ekaterina Ivanova (Russia), Aslan Aslanli and Camilli Famil (Azerbaijan), other strongest players from different countries. 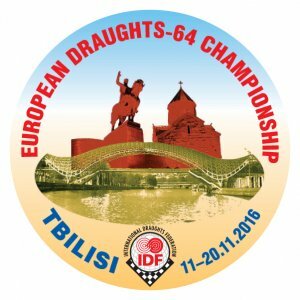 04-11-2016 In the capital of Georgia Tbilisi on 11th November start European Draughts-64 Championships among men and women. 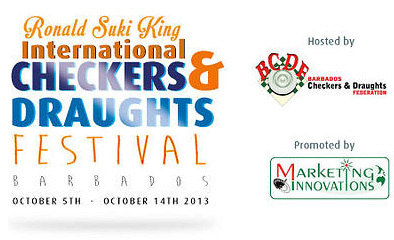 List of participants will be published soon. 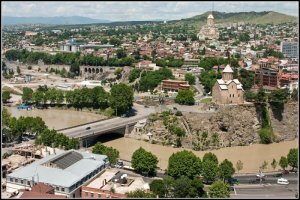 21-06-2016 International Draughts Federation (IDF) in accordance with the Calendar of the competitions in 2016 together with the Draughts Federation of Georgia holds from 11th November (arrival day) till 20th November (departure day) 2016 in Tbilisi (Georgia) European Draughts-64 Championships among men and women. 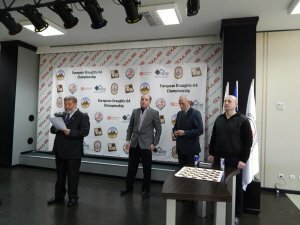 Competitions are qualifying for the World Championship 2017. The prize money of 30 000 dollars. There are 15 prizes in men, 12 prizes in women, the IDF special prizes. 08-01-2016 European Draughts-64 Championship 2016 among men and women will be held from 11th (arrival day) to 20th November (departure day) 2016 in Tbilisi, Georgia. Accommodation of participants and venue – Kalas hotel, located in the old Tbilisi. Hotel accommodation is in 2 and 3 bed rooms. 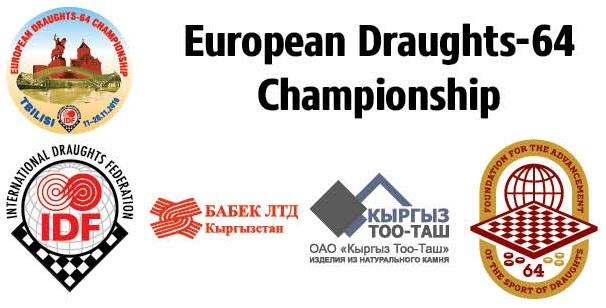 Admission of participants is according to the official rules of competition in draughts-64 and conditions of the official competition of the International Draughts Federation in 2016-2018.